How stinking cute is my 13-year-old niece Abbie in her vlog showing off Mac’s Mineralize Skinfinish product. She’s doing such a fabulous job on these videos and I can’t wait to bring you more! Not to mention that I’m wondering how sad it is that my 13-year-old niece now knows more about make-up than I do? 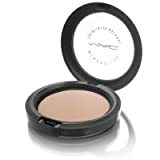 Here’s the product she’s reviewing – you can get it on Amazon, in-store at Nordstrom or MAC as well as any other retailer that carries Mac. The Mac Mineralize Skinfinish. This post is one in a series of reviews by my nephew & niece, Sully and Abbie. « Happy 10th Anniversary Petunia!